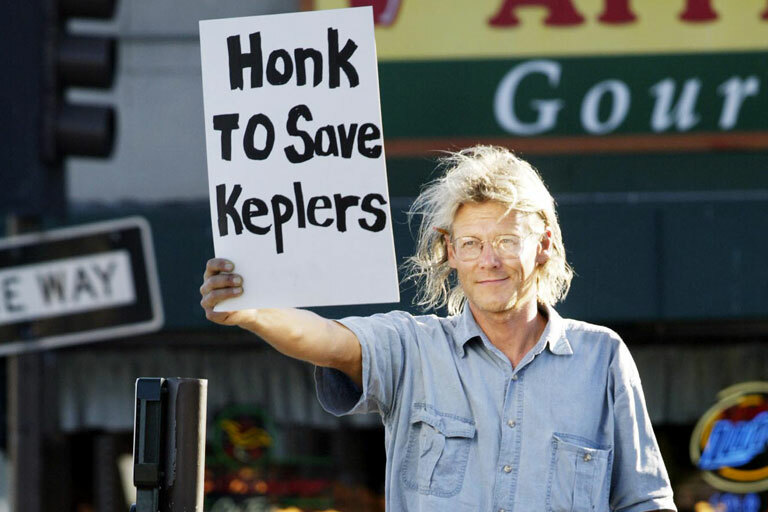 Kepler's was founded in May 1955 by peace activist Roy Kepler. For over 60 years, Kepler's has been the intellectual and cultural hub for the San Francisco peninsula. Kepler's is known for its outstanding literary events, knowledgeable staff, its broad selection of books and magazines, and for its deep ties to the community. Kepler's went through a planned transition in 2012 during which the business was re-started in a hybrid business model that includes a for-profit community-supported bookstore and Kepler's Literary Foundation, a nonprofit events organization. Kepler's vision is to continuously innovate to create a model community bookstore for the future that can be a sustainable cultural institution. Kepler's management team continues to be guided by its founder's mission to open minds, deepen literacy, and promote critical thinking. Along with Cody’s in Berkeley and City Lights in San Francisco, Kepler’s led the paperback revolution in the San Francisco Bay Area in the 50’s and 60’s. 35- cent paperbacks were new on the scene and Roy and his cohorts used this new format to pursue their mission of democratizing reading. The bookstore soon blossomed into a cultural epicenter, attracting a loyal following among Beat intellectuals, pacifists, students and faculty of Stanford University, and other members of the surrounding communities, interested in serious books and ideas. The Grateful Dead performed at Kepler’s early in their career, and they, along with folk singer Joan Baez, often appeared at Kepler’s holding impromptu salons with local community leaders to discuss ideas, political action, and music. 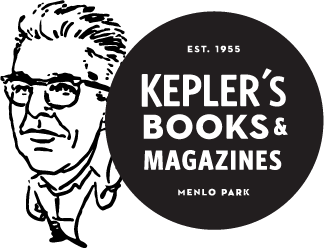 By 2005, the bookselling landscape had changed significantly and deteriorating business conditions caused Kepler’s to close its doors on August 31, 2005. What happened next was unprecedented and its impact can be felt even today. The local community responded with demonstrations. 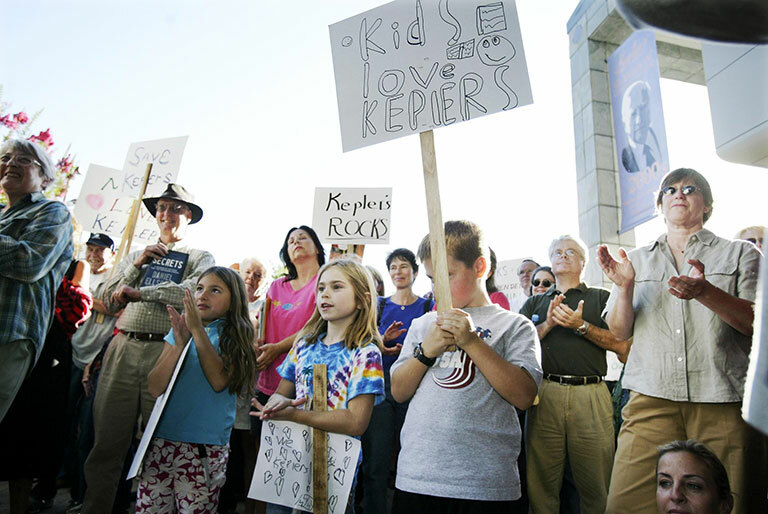 Thousands gathered on the expanse of what is now known as “Kepler’s Plaza” to express support and protest the loss. Ricky Opaterny, a Google employee and Kepler’s fan, started a blog to Save Kepler’s and his blog became an online meeting point for the community to come together. Serial entrepreneur and local resident Daniel Mendez and his wife Vivian Leal started a fundraising campaign. Within weeks, Kepler’s re-opened its doors with new shareholders from the community, a renegotiated lease, a new board of directors, a new Literary Circle Membership Program, and tons of volunteer support. Since 2005, many bookstores in the US have turned to their communities for help starting a movement for community-supported bookstores. Over the next few years, Kepler’s expanded its focus on community partnerships and special programs for young readers. Kepler’s programs for authors in schools, book fairs, and partnerships with local teachers and librarians were a big hit and led to Kepler’s winning the prestigious 2008 Lucile Micheels Pannell Award. The award recognizes a bookstore that excels in bringing books and young people together. Kepler’s was cited by the judges for "an amazing job resurrecting a store that was on the verge of closing just three years ago." Receiving special mention were Kepler's initiatives, such as its partnership with the African Library Project, that are "raising awareness of books for young people, not just in their community, but in parts of the world where children do not have books of their own." In late 2011, Clark Kepler announced his desire to retire from bookselling business and convened a Transition Team from the local community to transform Kepler’s into a next generation literary venture built around a new level of community engagement, stewardship, and sustainability. Under the Kepler’s 2020 program, Kepler’s was restructured to operate in an innovative hybrid business model that includes a for-profit, community-supported bookstore, and a nonprofit organization that features rich educational and cultural programming. The two organizations, although separate legal entities, continue to collaborate closely to bring people together around ideas and books to foster intellectual discourse and civic engagement in the community. Kepler’s 2020 received prominent coverage in local, national, and international media and proved once again that Kepler’s has a special place in its community. In July 2012, Kepler’s organized the first Future Search ever conducted for a bookstore. Titled Reinventing the Community Bookstore, this innovative planning and community building event brought together 72 leaders from all the groups that have a crucial stake in the future of bookstores to develop a strategic blueprint for the 21st century community bookstore. Sandra Janoff, co-founder of the Future Search Network, facilitated the event. Today Kepler's is thriving once again and remains a household name in the daily lives of its fiercely loyal customers. A new management team is hard at work building a sustainable future for Kepler’s and continuing Roy Kepler’s original mission to open minds, deepen literacy, and promote critical thinking. And visiting and contributing to Kepler’s Wikipedia entry. Celebrate writers, artists, and original thinkers with Kepler's Literary Foundation.